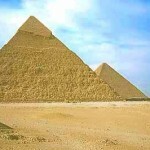 The blog entry contains images related to The Pyramid View Of The Human Body. Just spending time looking at and thinking about the images will be beneficial to those who are seriously interested in this material. This post contains images related to The Spiral View Of The Human Body. Just looking at the pictures and thinking about them can be helpful to the individual who is seriously interested in this material.